petition: Stop the Killing of Slovenia's Wolves, Now! 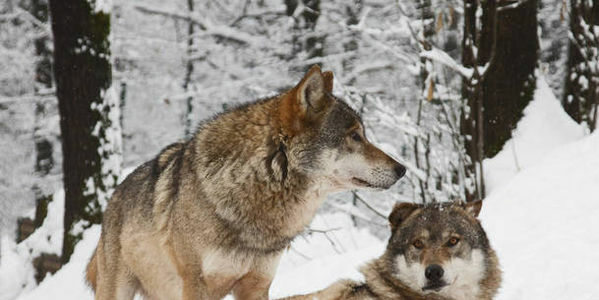 Stop the Killing of Slovenia's Wolves, Now! The Government of Slovenia has just announced that in 2017 it will permit the killing of 10 wolves out of a total estimated population of less than 50. This is in spite of research from the EU-funded SloWolf project which showed that such killing breaks up wolf packs and leads to more attacks on livestock because single wolves are unable to hunt deer effectively. The government claims it listens to the experts, but it seems that the hunting lobby has a large influence here (also shown by the fact that this year 113 brown bears will also be killed or 'removed' from the environment). The wolf is a protected species in Slovenia. This cull should be abandoned immediately. The Government of Slovenia has announced that in 2017 it will permit the killing of 10 wolves out of a total estimated population of less than 50. This is in spite of research from the EU-funded SloWolf project which showed that such killing breaks up wolf packs and leads to more attacks on livestock because single wolves are unable to hunt deer and other game effectively. The government claims it listens to the experts (Department of Forestry), but it seems that the hunting lobby has a large influence here. There is ample evidence that 'problems' caused by wolves to livestock farmers have diminished because of measures taken (fences, guard dogs). The wolf is a protected species in Slovenia and numbers are small enough to mean it is endangered. Slovenia presents itself as a 'green' destination but this is violence against the environment. This cull should be abandoned immediately.